VCN- According to the Customs Department of Ho Chi Minh City, although some problems were removed, during the implementation of Customs clearance of imported goods subject to food safety, there are still some problems when applying the regulations in Decree 15/2018 / ND-CP. In case of exemption for inspections of imported food safety for raw materials in service of production, in accordance with Clause 7, Article 13 of Decree No. 15/2018 / ND-CP noted: “Products of raw materials for production or importation which are used for processing of exported goods or for internal production of organizations and individuals that are not sold on the domestic market are exempt from food safety inspections when imported”. However, during the application of this content, the Customs Department of Ho Chi Minh City is concerned about what agency is responsible for the above-mentioned enterprises. The Customs officers shall directly handle the dossier of import declaration form without a basis to determine the import enterprise for production or business. It is difficult to determine how raw materials are produced because in fact, many products of this unit that will be the raw materials for the production of other units, such as raisins, dried peaches imported as raw materials for the production of cakes. From the above problems, the Customs Department of Ho Chi Minh City proposed that the Customs office should be based on the code declaration form in accordance with regulations to deal with exemption of food safety inspections when importing or exporting. Enterprises are fully responsible for declaring imported goods as raw materials in direct service of their production and bear full responsibility before law if the Customs offices or other competent agencies find that the use of the goods is not correct when declared to import. For imported goods which are first declared as raw materials in direct service of their principal production, but the enterprises then change their use purposes (selling imported raw materials to other enterprises), enterprises must carry out the procedures prescribed in Clause 5, Article 25 of Decree No. 08/2015 / ND-CP dated 21 January 2018. 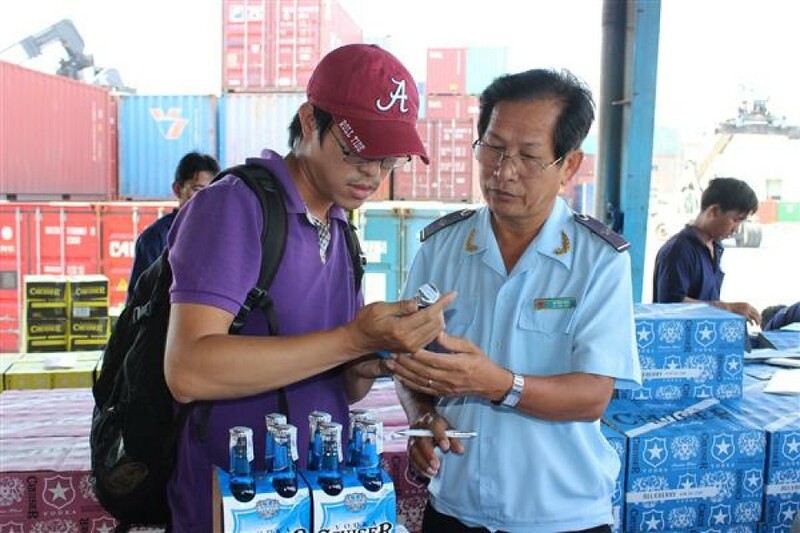 Regarding the inspection method for each imported goods lot, the Customs Department of Ho Chi Minh City proposed that the General Department of Vietnam Customs should set up a database soon to serve the reduction of inspection flow at the maximum rate of 5%, creating favourable conditions for enterprises as well as handling when processing imported food products.